09.59 Friday morning at the Sochi Autodrome and how things have changed. Safety – as the maxim goes – doesn’t sell. Well it does now! Red Bull Racing’s solution to the issue of the moment, namely driver protecting devices, is about to role. The Milton Keynes team are debuting their rather ostentatiously named ‘Aeroscreen’. There’s no doubt it’s a noble attempt and certainly way more appealing than the goppingly ugly ‘Halo’. Sadly, though, and especially from a head-on angle, it’s ugly, proportionally out of kilter with the car it sits upon, fundamentally changing the look and aesthetic appeal of the vehicle. Of course it’s not meant for now, so atop the 2017 machines, with their wider track and bigger wings, it may – visually – work, but I’m not optimistic. Safety is of course paramount, but the look of the cars is surely important too. Ugly racing cars, even safe ones, will not serve the sport well and heaven knows we don’t need to give people any more reasons to disengage with F1. If safety can be interesting why can’t technology? Much is and has been made of the current cars’ lack of speed since the incredible hybrid technology was introduced for the 2014 season. Tedious and ignorant moaning about a lack of noise and less than impressive cars feed a narrative of negativity, all the while ignoring the amazing efficiency and power gains achieved by the power unit manufacturers. As a result the sport will for the 2017 season embrace cars with a wider stance, bigger wings, fatter tyres and more power, resulting in increased speed and therefore lower lap times. “Great” I hear you cry, but at what cost and do we really need the changes? Behind the dominant Nico Rosberg, F1 racing 2016-style has been superb and will only get better as the season progresses. Standing on the outside of Sochi Autodrome’s long, sweeping, constant-radius Turn 3 I wondered why so many in the sport bemoan a lack of speed. To watch the Mercedes, Ferraris, Red Bulls, McLarens, etc, etc, take the corner at flat-out speed was impressive indeed. Next year's cars with close on 1000bhp and ground-hugging aero will no doubt look and sound even more impressive, but inevitably drivers will make mistakes, and the cars will lose grip and control in a corner. When the resulting shunts occur at Sochi’s Turn 3, Spa’s Raidillon corner, Interlagos’s Turn 14, et al, the shunts are going to be massive. It strikes me as bizarre that those wilfully signing up for 2017 monster cars are the very same guys who are insisting on ever more cotton-wool-wrapping safety measures. F1 has long been a place devoid of a sense of irony and that shows no sign of changing. Perhaps if a few more ‘opinion formers’ dared to leave the air-conditioned splendour of the press room and the cuddly confines of paddock hospitality, they may see just how impressive a 2016 F1 car at speed really is. Those who tap away at their keyboards hypothesising as to what’s wrong with the sport are of course better informed than spectators, but it’s a sad fact that 90 per cent of the journalists who attend grands prix, save for a revelatory five minutes trackside at Monaco once a year, don’t watch Formula 1 cars on anything other than press-room TV screens. No wonder they’re a jaded bunch… They may as well stay at home! Vested interests in F1 – as in life in general – abound with everyone thinking of their best interests first and foremost. Knowing this it was less than surprising to hear Jenson Button opine during Thursday afternoon’s Russian Grand Prix drivers’ press conference that he looks back to 2004 as being his preferred F1 car year, one in which, as he put it, “the racing was probably better.” ‘Better’ than what exactly?! A number of current and ex-F1 drivers have recently pronounced their desire for cars with a more ‘exciting’ mien, preaching the merits of faster cars that hark back to a bygone era of big-winged, ground-sucking-aero beasts. More awe for drivers and fans alike. That may be so but everyone, whether they’re in or out of the cars, must be focused on the good of the sport for all and not just those with a heavy right foot. Looking back through rose tinted glasses to imagined better times past is a common mistake and one that serves no one well. Living in the here and now is of paramount importance. While the rest of the world, especially the all-important youth market, obsess about future tech, how do you think they’re inclined to engage with a sport so utterly besotted with the past? No chance. I know well that secrecy is all in F1, so it’s difficult to know all the incredible technological developments that are making the hybrid power units so amazing, but why is more not made of what’s been and is being achieved? If the historically dull subject of safety can be ‘interesting’ then surely ground-breaking technology must be. The automotive industry as a whole can only dream of achieving over decades what the mega minds of F1 have accomplished in just a few years... While 2016 lap times are, compared with last year, tumbling, reliability rates are increasing. 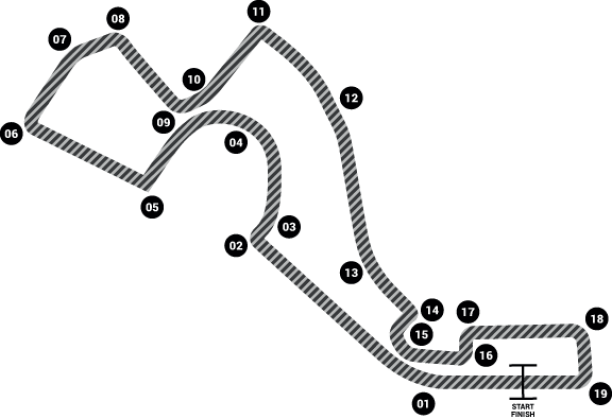 Of course track temperatures and tyre compounds play a part, but when Nico Rosberg’s 2016 Russian Grand Prix pole position time is 1.7 seconds lower than the time he set on the same circuit just six months earlier, and – for the first time in the hybrid era – every car that started the ’16 Chinese Grand Prix finished the race, the evidence is irrefutable. Leave the rules alone, let the teams work to a stable design criteria, and the cars, the racing and the general spectacle will improve. As we know it’s all too late for that, the most intelligent men in the room have signed on the dotted line and ratified their ill-advised plans for another raft of rule changes. NOW CLICK HERE FOR RUSSIAN GRAND PRIX PICTURES & HERE FOR MY NEW BOOK.